CORAM : NARESH H. PATIL ACTING C.J. & G.S. KULKARNI, JJ. Mr. Rafique Dada, Senior Advocate with Mr.Karl Tamboly, Mr.Bhalchandra Palav, Ms.Shreya Jha i/b. Cyril Amarchand Mangaldas, for Appellants in Com.Ap.171/17. Ms.Sapana Rachure i/b. T.N.Tripathi for Official Liquidator in Com.Ap.171/17 and ComAp.172/17, APP 361/17, 362/17.. Mr.Navroj Seervai, Senior Advocate with Ms.Ankita Singhania, Mr.Adhish Sharma i/b. Khaitan & Khaitan, for Respondent No.1 in Com.AP 171/17 and for Respondent no.3 in Com.AP 172/17. Mr.Karl Tamboly with Mr.Bhalchandra Palav i/b. Cyril Amarchand Mangaldas, for the Appellants in ComAP 172/17. Mr.Alok Mishra i/b. T.N.Tripathi & Co., for the Official Liquidator. Ms.Naira Jejeebhoy with Danesh Mehta i/b. M.Mulla Associates, for Respondent No.1 in COMAP 172/17. Mr.Sarosh Bharucha with Ms.Naira Jejeebhoy, Ms.Khusboo Malvia, Ms.Siddha Pamecha I/b. M.Mulla Associates, for Respondent in Comap 172/17. Mr.R.A.Dada, Senior Advocate in APP 360/17, Mr.Prasad Dhakephalkar, Senior Advocate in APP 361/17, Mr.Virag Tulzapurkar, Senior Advocate in APP 362/17 with Mr.Karl Tamboly, Mr.Bhalchandra Palav, Ms.Shreya Jha I/b. Cyril Amarchand Mangaldas, for the Appellants. Mr.Navroz Seervai, Senior Advocate with Ms.Ankita Singhania, Mr.Adhish Sharma i/b. Khaitan and Khaitan, for Respondent no.14 in APP 362/17 @ Darshana Bargode in APP 171/18 for Respondent no.1, in Appeal no.172/17 for Respondent no.3. Mr.S.N.Vaishnav with Ms.Nupur J.Mukherjee, Mr.Kunal S.Vaishnav, Ms.Kirtika Kothari i/b. N.N.Vaishnav & Co., for Respondent No.1 in App 361 and 362 of 2017 and for Respondent nos.1 and 2 in APP 360 of 2017. 1. The point which falls for consideration in this batch of appeals is as to whether the plaints against the appellant/defendantAxis Bank Limited (for short 'the Bank') are required to be rejected under the provisions of Order 7 Rule 11(d) of the Code of Civil Procedure, in view of the bar created by section 34 of the Securitisation and Reconstruction of Financial Assets and Enforcement of Security Interest Act, 2002 (for short, “ Securitisation Act”). 2. These appeals arise from a common order passed by the learned Single Judge on five Notice of Motions which were filed by the bank in the five Civil Suits in question, invoking the provisions of Order VII Rule 11(d), seeking rejection of the plaint qua the Bank. By the impugned order, the Notice of Motions are rejected by the learned Single Judge. 3. The contesting respondents in these appeals are the original plaintiffs (referred as “plaintiffs”). The other respondents are the developers M/s.Orbit Corporation Ltd. (for short, “Orbit”). 4. Succinctly put, the material facts giving rise to the present appeal are as under :The plaintiffs in these five suits have a common cause and interest. The plaintiffs case as set out in the plaint is that they desired purchasing of luxurious flats in a project known as 'Orbit Heaven' (for short “the project”) which was being developed by Orbit at Nepean Sea Road in Mumbai. The case of the plaintiffs is that they have parted with huge amounts of money as paid to Orbit for purchase of these flats. The amounts are substantial ranging in several crores. Notwithstanding the fact that the plaintiffs merely have allotment letters issued by Orbit and in two cases a Memorandum of Understanding (MOU), and although none of the plaintiffs have a registered agreement/document for purchase of the flats, the plaintiffs say that they have valuable rights on the project property. It is not necessary to delve into the details of payment made by the plaintiffs from time to time to Orbit, suffice it to state that the payment of the amounts is not disputed by Orbit. 5. The facts in each of the plaints are quite similar. The plaintiffs' prayers as made in the plaints, are primarily against Orbit namely the plaintiff's interalia seeking specific performance of the alleged agreements entered with them by Orbit for sale of the suit flats. 6. In the year 2009 the bank had granted loan facilities to Orbit aggregating to a principal sum of Rupees 150 Crores. To secure the said lending Orbit by registered deed(s) of mortgage created security interest in favor of the bank in the said project (land and the building), in which flats were proposed to be sold to the plaintiffs. 7. The case of the bank is that in or around January, 2016, Orbit committed defaults in repayment of the amounts advanced by the bank. Despite repeated reminders, Orbit failed and neglected to repay the interest and principal amount due under the credit facilities. A notice dated 3 August 2016 was addressed to Orbit, its guarantors and its mortgagors, recalling the credit facilities. Guarantees were also invoked and the guarantors were called upon to pay entire outstanding amounts due under the credit facilities. Despite these efforts, Orbit and its guarantors/ mortgagors failed and neglected to pay the dues. Consequently, the bank resorted to enforce the security interest created over the secured assets which included the project, by issuing a notice dated 19 August 2016 under Section 13(2) of the Securitisation Act to Orbit, seeking recovery of an amount of Rs.161,03,92,020.26 as on 12 August 2016 together with interest. The bank also issued public notices dated 10 August 2016 and 13 September 2016 interalia cautioning the public that all charges/claims on the project shall be subject to the rights of the bank as mortgagee. Some claims were received from plaintiffs, however, the bank by its letter dated 4 October 2016 denied the said claims. As there was noncompliance of the notice issued by the bank under Section 13(2) of Securitisation Act, by Orbit, its guarantors and mortgagors, on 7 November 2016, the bank took symbolic possession of the project, namely the semiconstructed Orbit Haven Project. Thereafter an application was filed by the bank under Section 14 of the Securitisation Act, before the learned Metropolitan Magistrate at Mumbai, who passed an order dated 8 March 2017 allowing the bank to take forcible possession of the suit project. Also an original application No.1453 of 2016 was filed by the bank before the Debt Recovery Tribunal at Mumbai, for recovery of the said dues of Rs.165,96,91,559.26 payable by Orbit. In the said proceeding, by an order dated 29 November 2016 interim reliefs were granted against Orbit, its guarantors and its mortgagors. 8. The plaintiffs in or about December 2016 to January 2017 claiming to be allottees of the flats/ suit premises in the said project, filed the suits in question (except Commercial Suit No.450 of 2017 which was filed on 1362017), interalia seeking a declaration that there is a valid and subsisting agreement executed between plaintiff and Orbit in respect of the suit premises and praying for specific performance of the agreement between the plaintiffs and Orbit and praying for handing over vacant possession of the suit premises to the plaintiff. An alternative prayer for damages against Orbit is also made. We shall make a reference to the prayers as made in each of the plaints in the later part of this judgment. Though there was no privity of contract between the plaintiffs and the bank, however it appears that as the project was mortgaged to the bank and as the plaints in these suits disclose that measures under section 13(4) Securitisation Act, were adopted by the bank, the bank stood impleaded as a defendant in these suits. 9. On the above backdrop, the bank being aggrieved by its impleadment as a defendant in the suit(s), moved notice of motions in question, in each of these suits, invoking the provision of Order VII Rule 11(d) of the CPC, interalia contending that the suit(s) as instituted against the bank were barred under the provisions of Section 34 of the Securitisation Act and thus qua the bank the plaint was liable to be rejected. 10. The contention of the bank was of a statutory bar created by Section 34 of the Securitisation Act, for the Civil Court to entertain the suits against the bank. This principally for the reason that the project was a 'secured asset' within the meaning of section 2(1) (zc) of the Securitisation Act, in view of the registered equitable mortgage created in its favour, which would enable the bank to realize the dues/ debt payable to it by Orbit. The bank contended that the advances as made to Orbit were secured by a 'Registered Supplemental Indenture of Mortgage' dated 17th September 2013, for the over draft facility of Rs.30 Crores and by another Supplemental Indenture of Mortgage dated 17th June 2015 for a over draft facility of Rs.17 Crores. 11. In the notice of motions filed by the bank under Order 7 Rule 11(d) of the Code of Civil Procedure 1908, the bank contends that a reading of the plaint demonstrates that the cause of action to implead the bank is principally on the project being mortgaged to the bank and the bank taking measures under Section 13(4) and 14 of the Securitisation Act, which according to the bank are being indirectly questioned by the plaintiffs in the suits, despite a specific remedy being available to the plaintiffs under Section 17 of the Securitisation Act namely of a right to file an appeal before the Debts Recovery Tribunal (for short DRT). It is contended that such a right is conferred on any person who is aggrieved by any of the measures referred to in SubSection (4) of Section 13, taken by a secured creditor, by making an application to the DRT. The bank contended that it would be the jurisdiction of the DRT to determine as to whether any of the measures referred to in SubSection (4) of Section 13, taken by the secured creditor for enforcement of securities are validly taken. The bank contended that Section 34 of the Securitisation Act barred the jurisdiction of Civil Court to entertain a suit and proceedings in respect of any matter which the DRT or the Appellate Tribunal were empowered to determine under the Securitisation Act. It was contended that also Section 35 of the Securitisation Act provided for an overriding effect of the Securitisation Act over other laws. The bank accordingly contended that on a reading of the plaints, it was clear that the suits were not maintainable against the bank, even considering the alleged case of the plaintiffs on the so called allegations of fraud. Notice of Motions as filed by the bank and as decided by the learned Single Judge, by the impugned order, prayed for rejection of the plaint qua the bank. 12. The plaintiffs resisted the bank's notice of motions interalia contending that the plaintiffs having parted substantial amounts as paid to Orbit for purchase of the flats in the said project, valuable rights in the project were created in favour of the plaintiffs. The bank could not have advanced loan to Orbit by receiving equitable mortgage of the project property. It was contended that due diligence was not undertaken by the bank before extending the credit facilities. It was contended that once the rights were created by Orbit in favour of the plaintiffs, the project assets were not available to be mortgaged to the bank. The plaintiffs contended that the plaintiffs charge on the suit property was a prior charge to that of the bank's charge, which was required to be legally recognized. It was contended that there was collusion between the officers of the bank and Orbit in creating mortgage in respect of the project assets and thus the mortgage was bad and illegal and not binding on the plaintiffs. It was contended that it could not be overlooked that substantial amounts were paid by the plaintiff to Orbit and consequently the bank cannot deal with the suit property without due consideration to the rights created in favour of the plaintiffs. It was thus contended that the plaintiffs were entitled to a decree of specific performance of the agreement entered by them with Orbit and in these circumstances the bank was a necessary party to the suit. It was contended that the cause of action for the plaintiffs to file the suit was not the measures taken by the Axis Bank under Section 13 of the Securitisation Act, but the plaintiffs entitlement to have specific performance of the agreement against Orbit and for which the bank was a necessary party, as it would be required to confirm the transfer of the said flats in favour of the plaintiffs. It was also contended that the plaintiffs were protected under the provisions of The Maharashtra Ownership Flats (Regulation of the promotion of construction, sale, management and transfer) Act, 1963 (for short “the MOFA”). Referring to the provisions of Section 4, 4A, 5 and 9 of the MOFA Act, it was contended that by virtue of these provisions protection is granted to the purchasers of the flats being constructed for the plaintiffs. In view of these provisions the bank cannot claim any higher rights than that of the flat purchasers. 13. Considering the rival pleas the learned Single Judge by the impugned order rejected the bank's notice of motions interalia holding that there were sufficient averments in the plaint of collusion between the officers of bank and Orbit, which supports a case of fraud as pleaded by the plaintiff and falling within the exception as culled out in the decision of the Supreme Court in Maradia Chemicals warranting trial. It is held that under the provisions of MOFA the bank was under an obligation to undertake due deligence and the issues as falling under MOFA cannot fall with the jurisdiction of the DRT. 14. Mr.Rafiq A.Dada, Mr.Tulzapurkar, Mr.Dhakephalkar, learned Senior Counsel, and Mr.Tamboli have represented the bank in these appeals. (I) The plaint is clearly barred by the provisions of section 34 of the Securitisation Act. The plaintiffs have no case to sustain the plaint against the bank. It is difficult to believe that the plaintiffs are bonafide flat purchasers as for years together the plaintiffs never demanded an agreement from Orbit though extraordinary/substantial money of about 9 crores is claimed to have been parted for the purported purchase of the flats. Referring to the amended plaint in Suit No. 8 of 2017 by insertion of Rider No.4 (Page 115 of the paperbook), it is submitted that the bank is casually roped in as a defendant. (III) It is submitted that the bank at all times has acted fairly , the mortgage as created in favour of the bank at material times was disclosed, as clear from the contents of the MOU/ agreement entered by Orbit with some other purchasers. Reference in this regard is made to an agreement dated 31 July 2014 entered by Orbit with Mr. Bhaderesh Mehta and Mrs. Heena Mehta, whereas in the case of the present plaintiff, there was no agreement sought by the plaintiffs from the builder much less any agreement as per the requirement of law/MOFA, requiring registration and payment of stamp duty. It is submitted that there is not a single letter from the plaintiff demanding an agreement from Orbit, which according to the learned Senior Counsel is very peculiar and would speak volumes in regard to the genuineness of the purported flat purchase transaction between the plaintiffs and the Orbit. It is submitted that a plain reading of the plaint would, in fact, creates an impression that the amount which was paid by the plaintiffs to Orbit was not in respect of the transaction for purchase of flats but was a money lending transaction. It is submitted that the suit was instituted on 17 December 2016. It is submitted that the first payment is stated to be made by the plaintiffs in the year 2009 and thus for a period of eight years the plaintiff did not ask for an agreement from Orbit. By referring to page 129 being an annexure to the plaint, by which the plaintiff shows the details of the payments made of an amount of Rs.1,76,00,000/the dates being 16 April 2009, 28 April 2009, 16 May 2009 and 16 May 2009, it is submitted that no receipts were issued by Orbit or taken by the plaintiff immediately. This clearly shows that this is not a conduct of a bonafide purchaser. No bonafide purchaser would wait for a receipt to be given at the sweet will of a developer. It is submitted that the allotment letter also appeared to be antidated and the same was procured later, this for the reason that payments did not tally with the allotment letter. It is submitted that though the allotment letter records that an agreement would be entered within six months, however, no such agreement was executed. These were clear traits of a financial transaction of loan being advanced to Orbit by the plaintiff and the deal was far from a bonafide transaction for purchase of flat. It is further submitted considered from this background this is a clear case of clever drafting of the plaint whereby a plaint which otherwise is barred by law against the bank is being impressed to be valid and that too by subsequently incorporating amendments by making averments of fraud against the bank. A reference in this regard is made to prayer clause (a) as amended. Learned senior counsel referring to the provisions of the MOFA, contends that in the facts of the case, the provisions of MOFA are wholly inapplicable to the bank and there is no obligation on the bank towards the plaintiffs under any of the provisions of MOFA. It is thus submitted that prayer clause (a) of the plaint which interalia prays for a decree that Orbit and the bank shall jointly and severally be ordered to comply with all the obligations under the MOFA is per se not maintainable. In this regard our attention is also drawn to Section 4 of the MOFA which while giving an overriding effect over the provisions of any other law interalia postulates that a promoter who intends to construct or constructs a block or building of flats, shall, before he accepts any sum of money as advance payment or deposit, enter into a written agreement for sale with each of such persons who are to take or have taken, such flats, the agreement to be registered under the Registration Act,1908 and to be in the prescribed form. It is contended that when the mandate of the provision requires that a written agreement should be entered into and registered on receiving not more than 20% of the sale price of the consideration, and when in the present case no such agreement being entered by Orbit and more particularly after eight long years the suit being filed, takes the matter beyond a pale of doubt, that it is not an agreement for purchase of a flat. The provisions of MOFA thus can never be invoked by the plaintiff is the contention on behalf of the bank. Further referring to Section 9 of the MOFA it is contended that this provision is specific which provides that no promoter after he executes an agreement to sell any flat, “mortgage or create a charge on the flat or the land”, without the previous consent of the persons who take or agree to take the flats, and if any such mortgage or charge is made or created without such previous consent 'after the agreement referred to in Section 4 is registered', it shall not affect the right and interest of such persons. It is thus contended that in the absence of a registered agreement between Orbit and the plaintiffs, the plaintiffs cannot claim a protection of section 9 of the MOFA. It is submitted that bank has meticulously followed the law, there is no illegality which can be found in the loan granted by the bank to Orbit and the measures as available to the bank under the Securitisation Act being resorted on default in repayment of the advances by Orbit. It is contended that in the fact situation, the rights of the plaintiff in any case cannot be subservient to the rights of the bank as the bank has followed the law by advancing the loan under a valid mortgage agreement entered with Orbit. It is submitted that in any case the plaintiffs would not succeed in getting any relief unless the mortgage as entered by the bank with Orbit is declared to be unenforceable, for which the only forum to assail any rights preventing the bank from resorting to the measures under Securitisation Act was to approach the DRT under Section 17 of the Securitisation Act. The DRT is not precluded from considering the arguments of the plaintiffs under MOFA, while considering whether the measures as adopted by the bank under Section 13 of the Securitisation Act, could be resorted or not. A reference is made to Section 5(b), (c), 5A and Section 6 of the Banking Regulation Act,1949 to submit that these provisions are clearly indicative of the kind of business the bank can undertake. It is submitted that as regards the maintainability of the appeal, the decision in Wander Ltd. And Anr. vs Antox India P. Ltd., 1990 (supp) SCC 727 as referred on behalf of the plaintiffs, is not applicable in the facts of the present case as there can be no question, of a possible or a plausible view of the court, in passing an order on an application under Order 7 Rule 11 (d) of the CPC. It is then contended that ouster of jurisdiction has to be strictly construed. It is next contended that the contention of the plaintiffs that Section 55(6)(b) of the Transfer of Property Act is applicable cannot be accepted as the said provision is only applicable for refund of the money. It is submitted that there is no money claim made against the bank. In support of his submissions Mr. Tulzapurkar learned senior counsel for the bank has placed reliance on the following decisions: (i) Punjab National Bank Vs. J.Samsath Beevi; 2010 (3) CTC 310 (ii) T. Arivandandam Vs. T.V.Satyapal, (1977) 4 SCC 467; (iii) Begum Sabiha Sultan Vs. Nawab Mohd. Mansur Ali Khan, (2007) 4 SCC 343; (iv) Ranganayakamma & Anr. Vs. K.S.Prakash(Dead) By LRS & ors., (2008) 15 SCC 673; (v) Authorised Officer, Kotak Mahindra Bank Ltd, Pune Vs. M/s.Brahmo ConstructionPvt.Ltd., Pune, 2015 (3) ABR 783; (vi) K.S.Dhondy Vs. Her Majesty The Queen of Netherlands, 2013 (4) Mh.LJ 64; (vii) Church of Christ Charitable Trust & Educational Charitable Society vs. Ponniamman Educational Trust, (2012) 8 SCC 706; (viii) Hiralal Parbhudas Vs. Ganesh Trading Co. & Ors., AIR 1984 Bom 218; (ix) National Chemicals and Colour Co. & Ors. VS. Reckitt and Colman of India Ltd. & Anr., AIR 1991 Bom 76. (I) It is submitted that Axis Bank is not a party to the agreement entered between the plaintiffs and Orbit and only by virtue of clever drafting a case is sought to be made out against the bank. Our attention is drawn to prayer clause in the plaint (in Commercial Suit No.60 of 2017). It is submitted that the real prayer is to prevent the bank from proceeding under the Securitisation Act. It is submitted that such a relief against the bank only can be sought under Section 17 of the Securitisation Act by approaching DRT. It is submitted that the only exception available to the plaintiff to bring a civil suit against the bank is only when a clear case of fraud is made out against the bank as per the Mardia principle. Our attention is drawn to paragraphs 23 and 28 to contend that the averments as contained in these paragraphs is the only case of fraud which is pleaded against the bank. It is submitted that a plain reading of these averments can never be accepted to be a case of a fraud as played by the bank in advancing loan. The plaintiffs by merely saying that no public notice was given by the bank before advancing of loan facilities, cannot amount to a fraud by the bank. Our attention is drawn to the prayer clause in the plaint in Suit no.60 of 2017 and more particularly to prayer clause (c)(iii) which is a relief that the plaintiffs have the first charge in respect of the suit property, it is submitted that this only prayer, as made against the bank, clearly falls within the jurisdiction of DRT under Section 17 of Securitisation Act. 18. Mr.Tamboli, learned Counsel for the appellant/Axis Bank in Appeal Nos.171 of 2017 and 172 of 2017 would submit that the case of the plaintiffs against the bank is completely on apprehension and presumption. It is submitted that the due diligence cannot be measured in the manner suggested by the plaintiffs. It is submitted that the averments in regard to the fraud as made in the plaint is only a piece of clever drafting to bring the suit within the jurisdiction of this Court, when the suit against the bank is barred by Section 34 of the Securitisation Act. It is submitted that there is no obligation in any law for the bank to have due diligence. In support of his submissions, reliance is placed on the decisions in (i) Chandrakant Kantilal Jhaveri Vs. Madhuriben Gautambhai, AIR 2011 Guj 27 and (ii) Sopan Sukhdeo Sable & ors. Vs. Assistant Charity Commissioner & ors, (2004) 3 SCC 137. 19. On behalf of the plaintiff, we have heard Mr. Navroj Seervai, learned senior counsel, Mr.S.N.Vaishnav and Mr.Sarosh Bharucha, who have opposed these appeals in supporting the impugned order. (i) It is submitted that the impugned order which is passed on an application under Order 7 Rule (11) (d) of the Code of Civil Procedure 1908 is a discretionary order and the learned single Judge has appropriately exercised the discretion in rejecting notices of motions, filed by the bank. It is submitted that the appellate Court would interfere in the impugned order only, when it would come to a conclusion that the view taken by the learned single Judge is not a possible, probable or a plausible view even, if it could not be an absolutely correct view. The view taken by the learned single Judge is a probable and a plausible view and thus the appeals, need not be entertained. To support this proposition reliance is place on the decision of the Supreme Court in the case of Wander Ltd & anr vs Antox India P.Ltd. (supra). On merits, it is submitted that it was not necessary for the plaintiffs to have a registered agreement as contemplated by the provisions of MOFA Act. It is enough that there was some agreement between the parties and that money was paid as a consideration for purchase of flats. The plaintiffs having paid large amounts to Orbit Corporation for purchase of flats in respect of which allotment letters were issued and/or MOU executed, the plaintiff would nonetheless have appropriate protection under the provisions of MOFA Act. In this regard reliance is placed on section 4A of the MOFA and rule 10 of the MOFA rules. It is submitted that all these issues are required to be gone into at the trial of the suit and for adjudication of these issues bank is a necessary party. It is contended that DRT is not a civil court and it cannot entertain proceedings for a relief of specific performance of the agreement against Orbit Corporation, who has entered into a collusive mortgage with the bank, without undertaking any due diligence. The bank is thus a necessary party to the suit. Thus, the subject matter of the suit cannot be decided by D.R.T. under section 17 of the Securitisation Act. It is submitted that fraud is only one of the aspects and there are several other aspects which would be relevant when an entitlement of a party to file a suit which is subject matter of consideration. (ii) Referring to the plaint in Commercial Suit No.192 of 2017 it is submitted that there are sufficient averments of fraud and/or collusion made in the plaint against the bank and thus, applying the principles of law as laid down in the decision of the Supreme Court in Mardia Chemicals vs Union of India (supra), the plaint against the bank is maintainable and not barred by law. Referring to the provisions of section 13 (4) (b) of the Securitisation Act it is submitted that it would be an obligation of the bank to complete construction of the project and recognize the rights of the plaintiff. It is submitted that once the flats in the project were sold to the plaintiff by issuance of allotment letters, the said project could not have been mortgaged to the bank by Orbit. The bank also could not have accepted such mortgage where third party rights were already created. The bank ought to have taken inspection of the records and accounts of Orbit which would have clearly revealed that flats were sold to the plaintiff. A reference in this regard is made to Rule 10 of the MOFA Rules. Thus, with all knowledge about the sale of the flats to the plaintiffs, a collusive mortgage was created in favour of the bank by Orbit Corporation. It is submitted that section 9 of MOFA Act also recognizes the rights of the flat purchasers. Attention of the Court is also drawn to section 55 (6) (b) of the Transfer of Property Act, 1882 to submit that the plaintiffs being the flat purchasers would have a prior charge and hence there was a requirement of due diligence, before loan was advanced by the bank to Orbit Corporation. It is submitted that there is no material to accept the submission as advanced on behalf of the bank that the plaintiffs are mere investors and not genuine flat purchasers. Referring to section 56 (b) of the Transfer of Property Act, 1882, section 8 of the MOFA Act, it is next submitted that the plaintiffs could have approached DRT under section 17 of the Securitisation Act only if possession of the flats was to be with the plaintiffs and not otherwise, as section 34 of the Securitisation Act would recognize only possessory rights. It is submitted that contribution of the plaintiff and other flat purchasers towards construction of the building was about Rs.83 crores of rupees and thus, there was not only a legitimate expectation of Orbit completing the project but also of putting the plaintiff in possession of the respective flats which were being sold to the plaintiff. Considering all these circumstances, the remedy of approaching the DRT was not an appropriate remedy, and suit as filed against the bank was maintainable. It is submitted that incidental reliefs can also be granted by a Civil Court and thus the reliefs which are prayed are incidental to the main reliefs. The bank would be a necessary party as and when a conveyance is required to be executed by Orbit in case a decree for specific performance was to be granted. It is thus, necessary that the bank is a necessary party to the suit. 20. In support of the submissions Mr. Seervai has placed reliance on the decisions in (i) Nahar Industrial Enterprises Ltd vs Hongkong and Sanghai Banking Corporation, (2009) 8 SCC 646; (ii) Indian Bank vs ABS Marine Products (P) Ltd., (2006) 5 SCC 72; (iii) Arasa Kumar & anr vs Nallammal & ors., II (2005) BC 127; (iv) Jagdish Singh vs Heeralal & ors. (supra); (v) Saleem Bhai & ors vs State of Maharashtra, 2002 (9) SCALE 22; (vi) Chhotanben & anr vs Kiritbhai Jalkrushnabhai, 2018 SCC online SC 352; (vii) Bhau Ram vs Janak Singh & ors., (2012) 8 SCC 701; (viii) Gopal Srinivasan vs National Spot Exchange, 2016 (4) Bom C.R.492; (ix) National Spot Exchange vs P.D.Agro, 2015 SCC online Bom 6412; (x) State Bank of India vs Jigishaben Sanghavi, 2011 (3) Bom.C.R.187; (xi) Wander Ltd & anr vs Antox India P.Ltd., 1990 (supp) SCC 727; (xii) Avitel Post Studioz Ltd vs HSBC PI holdings; 2014 SCC online 929. 22. In support of the submissions Mr.Sarosh Bharucha, learned counsel for the respondents, has placed reliance on the decisions in Dwarka Prasad Singh & ors vs. Harikant Prasad Singh, (1973) SCC 179; Rajanala Kusuma Kumari vs The State of Telangana, 2018 SCC online Hyd 33; Ramniklal Tulsidas Kotak vs Varsha Builders, 1993 Mh.L.J. 323; Kasiser Oils Pvt. Ltd. vs Allahabad Bank, MANU/WB/0713/2017 (High Court of Calcutta); Preamble.Maha Ownership Flats Act, 1963, Vishal N.Kalsaria vs Bank of India, (2016) 3 SCC 762; Sejal Glass Ltd vs Navilan Merchants Pvt. Ltd. Civil Appeal No.10802 of 2017. 23. We have heard learned counsel for the parties. We have perused the record of these appeals and the impugned order. 24. We first deal with the submission as urged on behalf of the plaintiffs that these appeals do not require interference as the impugned order passed by the learned single judge exercising jurisdiction under the Order 7 Rule 11 (d) is a discretionary order, and the view taken by the learned single judge being a plausible view, the appellate court in such a situation would not interfere, with the exercise of the discretion by the court, and substitute its discretion. We do not agree. 25. This submission as made on behalf of the plaintiffs that the impugned order is a discretionary order, cannot be accepted. This for the reason that Rule 11 of Order 7 of CPC does not confer a discretion on the court, moreover it creates an obligation on the Court to reject the plaint if the requirements as set out in the rule are satisfied. The provisions of Order 7 Rule 11 of CPC are mandatory. The opening words of Rule 11 are material which say that “The plaint shall be rejected in the following cases”, this clearly indicates that it is an obligation on the Court to reject a plaint in the event the requirement of clauses (a) to (f) are satisfied. It also cannot be disputed that such an application would require adjudication. Thus, when there is an adjudication by the court in this context and if the requirements as provided in the different clauses in the rule are satisfied, then, there is no occasion for any discretion to be exercised by the Court and more so it is an obligation on the Court to reject the plaint. In making these observations, we are also supported by the following observations of the Supreme Court in Popat and Kotecha Property Vs. State Bank of India Staff Association46. 29. The plaintiffs reliance on the decision in Wander Ltd. And Anr. vs Antox India P. Ltd. (supra) to support the contention that an order passed by the Civil Court on an application under Order 7 Rule 11(a) is a discretionary order, is not well founded. In Wander Ltd. (supra) the issue which fell for consideration of the Court arose from an injunction order which was reversed by the Division Bench of the High Court. It is in this context, the Court made the observations in paragraph 14 of the judgment, that if the discretion was exercised by the trial court reasonably and in a judicial manner, the fact that the appellate court would have taken different view may not justify interference with the trial court's exercise of discretion. These observations in paragraph 14 were made by the court in the light of the principles referred by Mr.Justice Gajendragadkar in “Printers (Mysore) Private Ltd. v. Pothan Joseph”, AIR 1960 SC 1156 which was also a case of the Court considering discretion to be exercised by the Court under Section 34 of the Arbitration Act,1940 and the power to stay legal proceeding when there was an arbitration agreement between the parties. 30. The decision of the Division Bench in “Avitel Post Studioz Ltd. & Ors. Vs. HSBC PI Holdings (Mauritius) Ltd.” (supra) which in the facts of the case referred to the principles as laid down in Wander Ltd. And Anr. vs Antox India P. Ltd. (supra), is also not applicable as this was also a case where the Court was considering an injunction order passed by the learned Single Judge, under Section 9 of the Arbitration and Conciliation Act,1996. 31. Reliance on behalf of the plaintiffs on the decision of the learned Single Judge of Rajasthan High Court in “Sahina w/o. Aslam vs. Returning Officer (Panchayat) Gram Panchayat Jhiwana; District Election Officer Alwar, Jeenat”, 2017 LawSuit (Raj) 569 is also not well founded. This decision cannot be said to be an authority on the proposition that the orders which would be passed by the Court under Order 7 Rule 11 of CPC, are discretionary orders. In this case, the Court refused to entertain a second application under Order 7 Rule 11 of CPC, in view of rejection of the first application filed on the same ground. It is in that context the Court made an observation that the learned trial Judge has exercised discretion in rejecting the second application. There was no adjudication on the application. Further the decision of the learned Single Judge of this Court in “Naginchand s/o. Devichand Buccha vs. Vinod s/o.Tarachand Gupta” is of no assistance to the plaintiffs. In this case the learned trial Judge had held that the issue of limitation is mixed question of law and facts and therefore, rejected an application made under Order VII Rule 11(d). We thus find no merit in the contention as urged on behalf of the plaintiffs that the appeals do not warrant any interference as the impugned order passed the learned single judge is a discretionary order taking a possible view. 33. It is not in dispute that the project assets have been mortgaged by Orbit in favour of the bank. The bank as a mortgagee thus has legal rights as conferred under section 13 of the Securitization Act to realize its dues, on a default by Orbit and its guarantors, in repayment of the money so advanced. The bank has already resorted to enforce these legal rights by issuing a notice under section 13 (2) and subsequently, taking measures under section 13(4) of the Securitization Act. It is significant that the suits in question are principally filed seeking specific performance of the alleged agreement to purchase flats between the plaintiffs and Orbit, however, the suits are filed only after the bank adopted the measures under the Securitization Act, to realize its dues from the mortgaged property, in which security interest was created in the bank by Orbit. In such a situation, if rights of the bank to resort to such measures under the Securitization Act are to be contested or some other rights as against the bank are required to be asserted by the plaintiffs, then the law clearly confers a jurisdiction on the D.R.T. under section 17 of the Securitization Act. On a plain reading of the said provision it is clear that 'any person' can invoke the remedy under section 17 of the Act. It is not in dispute that the bank is impleaded and brought into picture only due to the mortgage of the project assets in its favour by Orbit and for no other reason. The plaintiffs have no direct legal connection of any nature or privity with the bank. 35. On the above backdrop, and having noted that the suits are filed only after the bank has resorted to recover its dues from Orbit by taking recourse to the provisions of Section 13(2) and 13(4) of the Securitisation Act, it would be necessary to examine from the reading of the plaints, in each of the five suits, so as to ascertain whether the plaint is barred against the bank under the provisions of section 34 of the Securitisation Act. In so doing we would examine as to what in reality is the cause of action pleaded against the bank and as to what is the nature of the averments of 'a fraud' as made against the bank in the plaint and the acceptability of these averments when tested on the anvil of the provisions of Order VI Rule 4 of the CPC. 36. We set out the facts in some detail as the other plaints have somewhat similar factual matrix. 37. This appeal arises from the impugned order to the extent it deals with the plaintiff's case in Suit No.62 of 2017. The plaintiffs in this suit are one Madhav Prasad Aggarwal and Mrs.Sushma Madhav Aggarwal. Orbit is defendant no 1 and the bank is defendant no.2. The case of the plaintiff is that in the year 2009 the plaintiffs were looking out for suitable luxurious spacious accommodation in the vicinity of Nepean Sea Road. Having received knowledge that Orbit has launched a project namely 'Orbit Heaven' at Nepean Sea Road, the plaintiffs approached the directors of Orbit. The plaintiffs exhibited their interest to purchase a duplex apartment on the 16th and 17th floor consisting of five bedrooms of an area approximately of 7608 sq.ft. and carpet area of 4169 sq.ft. and a terrace area of approximately 2487 sq.ft. alongwith six car parking spaces at total price of Rs.38.25 crores, and agreed to purchase from Orbit this duplex flat. In pursuance of the concluded negotiations between the plaintiffs and Orbit, an amount of Rs.21,03,75,000/was paid by the plaintiffs to Orbit towards part consideration of the purchase price. This payment was acknowledged by issuance of a receipt by Orbit. The amounts were paid by cheques between 3 August 2009 to 25 June 2010. A letter of allotment dated 26 June 2010 was issued for sale of the said flat. The allotment letter recorded that the plaintiffs have agreed to pay Orbit, the balance price as per the agreement for sale 'to be executed'. Thereafter, Orbit by its letter dated 23 December 2010 demanded from the plaintiffs an amount of Rs.1,91,25,000/. The said amount was paid by the plaintiffs to Orbit. On 25 February 2011 a further amount of Rs.1,91,25,000/was paid as demanded by Orbit. An amount of Rs.9,84,938/was also paid as service tax on 20 July 2011. In or about 2013 the plaintiffs were informed by Orbit that it had obtained loan from Axis Bank and that there was term loan agreement dated 21 January 2013, an indenture dated 20 February 2013 under which the project property was mortgaged to the bank. However, Orbit assured the plaintiffs that the rights of the plaintiffs in the suit project shall not be diluted in any manner. It “appeared” to the plaintiffs that Orbit had informed the bank about allotment of the said premises to the plaintiffs. By letter dated 17 July 2013 the bank gave its no objection to the sale of the suit premises to the plaintiffs. However, it appears that through inadvertence the name of the first plaintiff was only mentioned as a purchaser of the duplex flat. As there was misdescription of the flat in the said letter, the plaintiffs approached Orbit for rectification. A memorandum of understanding dated 20 August 2014 was executed between Orbit and the plaintiffs inter alia confirming the said allotment letter dated 26 June 2010. The bank is not a party to the said MOU, also the said document is not a registered document and is not adequately stamped as per requirement of law. 38. The plaintiff has stated that on 13 September 2016 the bank issued a public notice in the Economic Times recording that the said project (Orbit Heaven) is mortgaged to the Bank and informing that any person dealing with the said property without the consent of the bank shall, do so, on its own risk and any such dealing shall not in any manner alter/affect the rights of the mortgagee bank over the said property. The plaintiffs by their letter dated 19 September 2016 replied to the said notice and recorded the facts, of the sale of one of the flats to the plaintiffs and payments made to Orbit in that regard. The bank replied by its letter dated 4 October 2016 interalia stating that the letter of allotment cannot be considered as sufficient document of any ownership right over the mortgaged property. The plaintiffs thereafter noticed that on 7 November 2016 a possession notice was affixed on the project site interalia announcing that the bank had taken possession of the said project under Section 13(4) of the Securitisation. “23. Without prejudice to the aforesaid the Plaintiffs state that at the request of the Defendant No.1, the Defendant no.2 has already granted it's no objection for sale of the said premises in favour of the 1st Plaintiff. The Defendant No.2 cannot now back out from its commitment for the reasons alleged in the said letter dated 4th October,2016 or otherwise. In any event the Plaintiffs submit that the mortgage created in favour of 2nd Defendant, is subject to the Plaintiffs' rights in the said premises. The Plaintiffs state that the Defendant No.2 has advanced the loan and have taken the said property as charge with the knowledge of the Plaintiffs rights in the said premises. [It is obvious that prior to advancing loan of such a huge amount the Defendant No.2 ought to have carried out due diligence and ought to have ascertained the rights of the 1 st Defendant and ought to have accepted the liability of the 1 st Defendant for allotment of the said premises to the Plaintiffs.] Even the 2 nd Defendant did not invite claims and objections of the public by publishing public notice before granting loan for such a huge amount. (a) this Hon'ble Court be pleased to declare by an order and decree that there is a valid and subsisting plaintiff's agreement dated 28th September 2009 for the said premises more particularly described in Exhibit A hereto and the same is binding on the defendants; …. …..
(ciii): It may be declared that the plaintiff is having first charge on the said premises for payment of the said sum of Rs.22,81,19,396/together with interest on Rs.14,65,00,000/at the rate of 9% per annum as per the particulars of claim in Exhibit I hereto and Rs.51,55,00,000/as per the Particulars of claim in Exhibit J hereto together with interest thereon @ 24% p.a. from the date of suit till payment and/or realization as prayed in prayers (c) (i) and (ii) above and in the event of the defendant would fail and neglect to pay the said aggregate sum of Rs.74,36,19,396/and/ or interest or any part thereof within the time to be fixed by this Hon'ble Court,the said premises to the plaintiff be directed to be sold by an under decree and/or directions of this Hon'ble Court and out of the net sale proceeds thereof payment be made to the plaintiff towards the satisfaction of the plaintiff's claim. III. Commercial Appeal no.362 of 2017 in Suit no.8 of 2017. (Padma Ashok Bhatt vs M/s Orbit Corporation & ors). “16. Meanwhile the plaintiff and other flat owners learnt that defendant no.15 have issued a public notice on 13th September 2016 in Economic Times informing public at large that the project named Orbit Haven has been mortgaged. Hereto annexed and marked Exhibit F is the public notice dated 13th September 2016. On learning the same, the flat owners by their respective letters giving the details of the allotment letter by defendant no.1 to them and the details of the payment made each of them to the defendant no.1. Hereto annexed and marked Exhibit G is the copy of letter dated 29th September 2016 sent by plaintiff to defendant no.15. 19. The plaintiffs has learnt that the defendant no.15 have not carried out any due diligence search while granting loan to defendant no.1. Certainly, if the due diligence search would have taken, it would show in the record of defendant no.1 that they have received substantial money from various purchasers who have booked flats in Orbit Haven. To the knowledge of the plaintiff, it seems that even public notice was issued by defendant no.15 before advancing loan to the defendant no.1. It is common to the knowledge of everybody that the moment the building construction start, people book the flat to take advantage of reduced price and save themselves from escalation in prices. It is also evident and common that an individual applies for loan from the bank though due diligence search is carried out by the bank whereas in the present case to the plaintiff's knowledge, no such due diligence search at all has been carried out by defendant no.15 before advancing money as is claimed by defendant no.15. In any event, the mortgage in favour of defendant no.15 is with the rights and obligations created by defendant no.1 in favour of the plaintiff which is also protected by law. 24. The plaintiff and Defendants no.2 to 14 have put in their hard earned money with a hope to get flats in the building Orbit Haven and at the relevant time, the flat was booked and allotted to them there was no mortgage of any nature whatsoever by Defendant No.1 and it was free from all encumbrances and the title of the flat was marketable. The Plaintiff submit that it seems that the Defendant No.1 in collusion with the officers of Defendant No.15 Bank have mortgaged the said property in spite of having no right to mortgage the same. It is also pertinent to note that the Defendant No.15 have also not carried out any due diligent search as on enquiry by the Bank with Defendant No.1 and from their records it would certainly disclose that all the flats are sold and that no flat is available to be mortgaged with the Defendant No.15. The Defendant No.15 Bank is also aware about the factum of the flats being allotted by virtue of allotment letters as is also evident from the fact that Flat No.2501 is not registered and to the knowledge of the Plaintiff, there is only a letter of allotment/booking in respect of Flat No.2501 and Defendant No.11 in their Public Notice have clearly stated that they have mortgaged the suit property except the Flat Nos.2301, 2401 and 2501. The Defendant No.15 were certainly aware about the preexisting rights of all flat purchasers. 24(a) “The Plaintiff states that the alleged mortgage as claimed by Defendant No.15 is contrary to law and it is contrary to the provisions of Maharashtra Ownership Flats Act. The mortgage is also unenforceable in law being contrary to the provisions of Section 9 of Maharashtra Ownership Flats Act, as also several other flat purchasers including Plaintiff have paid consideration for acquisition of their respective flats in excess of 20% prior to the purported mortgage. The Defendant No.15 did not take any search of the flat purchaser's register as required to be mandatory maintained by Defendant No.1 in which names and addresses of all flat purchasers alongwith the flat numbers are required to be mentioned and also of separate Account in Bank mandatorily required to maintained for any sum received by the Defendant No.1. The Defendant No.15 knew it too well that the building to be constructed by Defendant No.1 was for sale of the flats to various members of public under the provisions of Maharashtra Ownership Flats Act. The Defendant No.15 thus cannot claim to be that they are bonafidy mortgagee of the said property. 24(b) The Defendant No.15 further knew that the land and the building is required to be conveyed free of encumbrances to the body of flat purchasers. Thus the mortgage and the loan obviously appears to be fraudulently and in collusion and in connivance between Defendant No.1 and Defendant no.15. 24(c) Without prejudice to the aforesaid and in alternative, it is submitted that the Defendant No.15 by claiming to be mortgagee and permitting the Defendant No.1 to develop and construct the said property subsequent thereto have assumed character of a promoter as defined under Maharashtra Ownership Flat Act and is equally bound and liable to perform all the obligations of the provisions of Maharashtra Ownership Flats Act and are accordingly bound and liable to perform delivery of possession of the respective premises free from all encumbrances and to perform all other obligation towards the flat purchasers being Plaintiff and Defendants Nos.2 to 14. The purported mortgage is even otherwise contrary to Registration Act and Stamp Act and is enforceable in law.” …. …. (b) that the plaintiff is also entitled for a declaration that there is no legal, valid enforceable lien, charge or mortgage in favour of defendant no.15 in respect of the building or any part thereof known as Orbit Haven,situate at Darabshaw Lane, Napeansea Road, Mumbai400 036. IV. Commercial Appeal No.171 of 2017 in Suit no.192 of 2017 (Om Project Consultants and Engineers Limited vs Orbit Corporation). “13. The plaintiff company after the perusal of the aforesaid public notice were surprised to read the contents thereof, which was completely contrary to the assurance of defendant no.1 in respect of the rights of the plaintiff company in respect of the said premises. The charge of the plaintiff company over the said premises is paramount as the said premises was allotted to Mr.Ratan Jindal in the year 2009, much before defendant o.1 had availed the loan facility from the defendant no.2. 14. The plaintiff company replied to the aforesaid public notice vide its response dated 9th November 2016 categorically stating that the said premises was allotted to the plaintiff well before the said loan was taken by defendant no.1 from defendant no.2. Copy of the response dated 5th November 2016 is exhibited with the present suit as Exhibit 'G'. 15. The defendant no.2 Bank did not pay any heed, whatsoever to the response dated 9th November 2016 but on the contrary the defendant no.2 has now affixed a possession notice at the site of the said project inter alia stating that it has taken the symbolic possession of the said project under section 13 of the Securitization and Reconstruction of Financial Assets and Enforcement of Security Interest Act, 2002. Copy of the said possession notice is exhibited with the present suit as Exhibit 'H'. “20. In the premises, it is submitted that the plaintiff is entitled to a declaration that the allotment letter dated 3rd March 2010 constitutes a valid, subsisting and binding contract between the plaintiff and the defendant no.1.The plaintiff is entitled to an order directing the defendant no.1 to take necessary steps so as to specifically perform its obligations under the allotment letter including but not limited to completing construction of the project and handing over possession of the suit property to the plaintiff free from all encumbrances whatsoever. The plaintiff is also entitled to an order directing the defendant nos.1 and 3 to 5 to jointly and/or severally comply with all the obligations, under the Maharashtra Ownership of Flats (Regulation of the Promotion of Construction, Sale, Management and Transfer) Act 1963 and the Real Estate (Regulation and Development) Act 2016 including but not limited to (i) the execution of the necessary agreement in terms thereof (ii) completing the project (iii) to deliver vacant and peaceful possession of the suit property to the plaintiff and(iv) to give clear and marketable title in respect of the suit property free from all encumbrances whatsoever. The plaintiff is also entitled to an order directing the defendant o.1 to indemnify the plaintiff in respect of all claims, charges that may be made by anybody in respect of the suit property and keep the same indemnified till registration of the necessary agreements and conveyance of land in favour of any organization/association that may be formed/constituted by the plaintiff with the other persons who have purchased flats in the project. “(c.) that the defendant nos.1 and 3 to 5 be jointly and/or severally ordered and directed by this Hon'ble Court to comply with all the obligations, under the Maharashtra Ownership of Flats (Regulations of the Promotion of Construction, Sale, Management and Transfer) Act 1963 and the Real Estate (Regulation and Development) Act 2016including but not limited to (i) the execution of the necessary agreement in terms thereof (ii) completing the project (iii) to deliver vacant and peaceful possession of the suit property to the plaintiff and (iv) to give clear and marketable title. 48. In the light of the averments/statements as made in the plaint and the prayers as noted by us above, we now examine as to whether the plaint can be said to be barred by the provisions of Section 34 of the Securitisation Act as contended on behalf of the appellantbank. (2) The Debts Recovery Tribunal shall consider whether any of the measures referred to in subsection (4) of section 13 taken by the secured creditor for enforcement of security are in accordance with the provisions of this Act and the rules made thereunder. (3) If, the Debts Recovery Tribunal, after examining the facts and circumstances of the case and evidence produced by the parties, comes to the conclusion that any of the measures referred to in sub section (4) of section 13, taken by the secured creditor are not in accordance with the provisions of this Act and the rules made thereunder, and require restoration of the management or restoration of possession, of the secured assets to the borrower or other aggrieved persons, it may by order, (a) declare the recourse to any one or more measures referred to in sub section (4) of section 13 taken by the secured creditor as invalid; and (b) restore the possession of secured assets or management of secured assets to the borrower or such other aggrieved person, who has made an application under Subsection 1, as the case may be; and (c) pass such other direction as it may consider appropriate and necessary in relation to any of the recourse taken by the secured creditor under subsection (4) of section 13. (4) If, the Debts Recovery Tribunal declares the recourse taken by a secured creditor under subsection (4) of section 13, is in accordance with the provisions of this Act and the rules made thereunder, then, notwithstanding anything contained in any other law for the time being in force , the secured creditor shall be entitled to take recourse to one or more of the measures specified under subsection (4) of section l3 to recover his secured debt. [(4A) Whether (i) any person, in an application under subsection (1), claims any tenancy or lease hold rights upon the secured asset, the Debt Recovery Tribunal, after examining the facts of the case and evidence produced by the parties in relation to such claims shall, for the purposes of enforcement of security interest, have the jurisdiction to examine whether lease or tenancy,( a) has expired or stood determined; or (b) is contrary to section 65A of the Transfer of Property Act,1882 (4 of 1882) ; or (c) is contrary to terms of mortgage; or (d) is created after the issuance of notice of default and demand by the Bank under subsection (2) of section 13 of the Act; and (ii) the Debt Recovery Tribunal is satisfied that tenancy right or lease hold rights claimed in secured asset falls under the subclause (a) or subclause (b) or subclause (c) or subclause (d) of clause (i), then notwithstanding anything to the contrary contained in any other law for the time being in force, the Debt Recovery Tribunal may pass such order as it deems fit in accordance with the provisions of this Act.] … … …. 34. Civil Court not to have jurisdiction:No civil court shall have jurisdiction to entertain any suit or proceeding in respect of any matter which a Debts Recovery Tribunal or the Appellate Tribunal is empowered by or under this Act to determine and no injunction shall be granted by any court or other authority in respect of any action taken or to be taken in pursuance of any power conferred by or under this Act or under the Recovery of Debts Due to Banks and Financial Institutions Act, 1993 (51 of 1993). 51. Section 13 of the Securitisation Act provides for enforcement of the security interest and the measures which can be taken by the secured creditors. Section 13 begins with a non obstante clause to provide that “notwithstanding anything contained in section 69 or section 69A of the Transfer of Property Act,1882, any security interest created in favour of any secured creditor may be enforced, without the intervention of the Court or tribunal, by such creditor in accordance with the provisions of this Act.” Section 69 of the Transfer of Property Act provides for general power of sale as conferred on the mortgagee. Section 69A of the Transfer of Property Act provides for appointment of a receiver and such security interest would be enforced in accordance with the provisions of Secrutisation Act. 52. In Mardia (supra), the Supreme Court was considering the challenge to the legality of the provisions of Sections 13, 15, 17 and Section 34 of the Securitisation Act. The Court examined the provisions of Section 34 which bars jurisdiction of the Civil Court to entertain any suit or proceedings, in respect of any matter which a Debt Recovery Tribunal or the appellate Tribunal is empowered under the Secrutisation Act to determine, in respect of any action taken or to be taken, in pursuance of any power conferred by or under the Secrutisation Act or under the Recovery of Debts Due to Banks and Financial Institutions Act,1993. The Court also examined the provisions of Section 35 of the Secrutisation Act, which provides for the Act to have an overriding effect all other laws, and as to why and in what circumstances it was thought necessary by the legislature to provide for a non obstante clause in subsection (1) of Section 13 of the Secrutisation Act. It was observed that the situation as prevailed in 1882 when the Transfer of Property Act was enacted, has undergone a seachange and what was conceived to be correct in the situation then prevailing, may not be so in the present day scenario. It was observed that functions of different institutions including the banking and financial institutions have changed and new functions have been introduced for financing the industries etc., and a new economic and fiscal environment exits, after more than 100 years after the enactment of the Transfer of Property Act was initially brought into force. The Court referred to the report of Rajamannar Committee appointed by Government of India which submitted its report in 1977 indicating the effect of the changed situation and the efficacy of the provisions of the Transfer of Property Act. The Court also examined the Narasimham Committee Report 1998 which advocates for a legal framework which should clearly define the rights and liabilities of the parties to the contract and provisions for speedy resolution of disputes, being a sine qua non for efficient trade and commerce, especially for financial intermediation. A reference is also made to the guidelines of the Reserve Bank of India in relation to classifying the Non Performing Assets (NPA) and the appropriate remedies available to the borrowers. The Court noted the adequate safeguards which are available to the borrowers as provided under Section 13 of the Act. The court also considered the contention that an appeal under Section 17 would be entertainable before the Debt Recovery Tribunal, only after such measures as provided under subsection (4) of Section 13 are taken. The court held that a full reading of section 34 shows that the jurisdiction of the civil court is barred, in respect of matters which a Debt Recovery Tribunal or appellate Tribunal is empowered to determine, in regard to any action taken or “to be taken” in pursuance of any power conferred under Securitisation Act and thus the prohibition under Section 34, covers even the matters which can be taken cognizance by the Debt Recovery Tribunal though no measure in that direction was taken under subsection (4) of Section 13. It was held that the bar of jurisdiction of the civil court, applies to all such matters which may be taken cognizance by the Debt Recovery Tribunal, apart from those matters in which measures have already been taken under subsection (4) of Section 13. The Court however held, that to a very limited extent jurisdiction of the civil court can also be invoked, where the action of the secured creditor is alleged to be fraudulent or their claim may be so absurd and untenable which may not require any probe, whatsoever or to say precisely to the extent the scope is permissible to bring an action in the civil court in the cases of English mortgages. “50. It has also been submitted that an appeal is entertainable before the Debt Recovery Tribunal only after such measures as provided in subsection (4) of Section 13 are taken and Section 34 bars to entertain any proceeding in respect of a matter which the Debt Recovery Tribunal or the appellate Tribunal is empowered to determine. Thus before any action or measure is taken under subsection (4) of Section 13, it is submitted by Mr. Salve one of the counsel for respondents that there would be no bar to approach the civil court. Therefore, it cannot be said that no remedy is available to the borrowers. We, however, find that this contention as advanced by Shri Salve is not correct. A full reading of section 34 shows that the jurisdiction of the civil court is barred in respect of matters which a Debt Recovery Tribunal or appellate Tribunal is empowered to determine in respect of any action taken "or to be taken in pursuance of any power conferred under this Act". That is to say, the prohibition covers even matters which can be taken cognizance of by the Debt Recovery Tribunal though no measure in that direction has so far been taken under subsection (4) of Section 13. It is further to be noted that the bar of jurisdiction is in respect of a proceeding which matter may be taken to the Tribunal. Therefore, any matter in respect of which an action may be taken even later on, the civil court shall have no jurisdiction to entertain any proceeding thereof. The bar of civil court thus applies to all such matters which may be taken cognizance of by the Debt Recovery Tribunal, apart from those matters in which measures have already been taken under subsection (4) of Section 13. 54. In Mardia (supra) Supreme Court has also held that the proceedings under Section 17 of the Securitisation Act in fact are not appellate proceedings and it seemed to be a misnomer. It was observed that it is the initial action which is brought before a forum as prescribed under the Securitisation Act, raising from the grievance against the action or measures taken by one of the parties to the contract. It is held that this is the stage of initial proceedings, like filing a suit in civil court and as a matter of fact the proceedings under Section 17 of the Securitisation Act are in lieu of a civil suit, which remedy is ordinarily available, but for the bar under Section 34 of the Securitisation Act. “41. The heart of the matter is that NPA Act proceeds on the basis that an interest in the asset pledged or mortgaged with the bank or FI is created in favour of the bank/ FI; that the borrower has become a Debtor, his liability has crystallized and that his account with the bank/ FI (which is an asset with the bank/FI) has become substandard. 56. Adverting to the above position in law and the provisions of the Securitisation Act, we now discuss whether the suits in question can be said to be maintainable against the bank ? It is not in dispute that the substantial amounts were advanced by the bank to Orbit. It is stated that the liability of the Orbit towards Axis Bank is more than Rs.150 crores (i.e. term loan of Rs.85 crores, OD facilities of 130 crores and OD facilities of Rs.35 crores). These amounts as advanced are secured in favour of the Axis bank by a registered indenture of mortgage dated 28 February 2013 and subsequently by indenture of mortgage dated 17 September 2013 and the indenture of mortgage dated 17 June 2015. Thus, a 'security interest' as clearly falling within the meaning and purview of Section 2(zf) of the Securitisation Act, is created in favour of the bank in regard to these advances made in favour of Orbit. It is also not in dispute that the entire project in question (land and building) are the subject matter of the said mortgage. Once there is a valid and legal mortgage in operation and there is default on the part of Orbit in repayment of the said advances and the account of Orbit becoming nonperforming assets (NPA), there can be no fault or any impediment in law and/or any illegality on the part of the bank to take recourse to the provisions of the Securitisation Act namely by issuing notice under Section 13(2) and taking measures under Section 13(4) to enforce the security interest and realise the amounts due and payable to the bank by Orbit, from the mortgaged assets. The bank has resorted to these remedies and measures under the Securitisation act by issuance of notice under Section 13(2) dated 19 August 2016 issued to Orbit and thereafter by taking recourse to Section 13(4) and taking symbolic possession of the suit properties on 7 November 2016. 57. The averments as made in the plaint clearly indicate that the plaintiffs decided to purchase their respective flats on or about 20092010 and substantial payments were made to Orbit as stated to be part consideration of the purchase price. It is however astounding that despite parting with such huge amounts stated to be the consideration for purchase of the flats, the plaintiffs remained satisfied on a mere piece of paper namely allotment letters issued by Orbit and/or a merely MOU. The Plaintiffs are not the category of persons who can be said to be unaware of law or would have no means to seek legal advice. The plaintiffs never felt that Orbit should follow the process of law as prescribed under the MOFA and enter into a registered agreement with them. It is also quite clear that in some of the cases even timely receipts in regard to payments were not accepted and the receipts were passed on subsequently. Not even in one case there is a registered agreement for purchase of flat as would usually and normally happen in a case of a bonafide purchase transaction of a flat and more so, when the flat in question is so valuable the price of which runs into several crores of rupees, ranging between Rs.18 crores to Rs.38 crores. “Clause 4 This contains the provision for compulsory registration of the agreement for sale of the flat. Clause 8 This clause provides for the refund of the amount paid, with interest at the rate of 9 per cent per annum, if the flat is not handed over by the date agreed upon or within further time allowed to him for reasons beyond the control of the promoter or his agents. Clause 9 – This clause provides that the promoter shall not, without the previous consent of the flat purchasers, mortgage or create a charge on the flat or the land after he has entered into an agreement to sell a flat. If he nevertheless does create mortgage or a charge without such consent after the agreement is registered it will not affect the rights and interests of such flat takers. 60. It view of the above object and intention of the legislation, the above provisions of the MOFA as referred during the course of arguments are required to be considered in their application to the given facts, inasmuch as the plaintiffs contend that the legislation provides for valuable rights referring to Section 4, 4A, Section 5 and 9 of the MOFA. 61. We find it difficult to accept the said contention as urged on behalf of the plaintiffs that these provisions of the MOFA would in any manner assist the plaintiffs. The plaintiffs who have parted with substantial amounts, are not ordinary flat purchasers. For the reasons best known to them, the plaintiffs never felt to have a benefit of a registered agreement of sale of their respective flats which would require payment of proper stamp duty nor they called upon Orbit to do so. This possibly in view of the nature of the relations the plaintiffs stood with Orbit, the plaintiff thought it wiser to remain in that position. In the context of the MOFA Act the nonregistration of an agreement to purchase/sale of a flat in fact goes to the root of the matter. Thus when we consider the argument of the applicability of the provisions of MOFA and a protection as claimed by the plaintiffs under the provisions of the said Act the basic compliance of the provisions MOFA would not only be germane but a requirement and a mandate of law. 62. We are unable to agree with the reasoning of the learned Single Judge on the applicability of the MOFA. Admittedly there is no compliance of the provisions of Section 4 of the Act which provides that a promoter who intends to construct a building or flats which are to be taken or already taken on ownership basis, shall before, he accepts any some of money as advance payment or deposit, which shall not be more than 20% of the sale price, enter into a written agreement for sale with each of such persons, who are to take or have taken, such flats, and the agreement shall be registered under the Registration Act,1908. Subsection 1A of Section 4 provides that the prescribed agreement shall contain all particulars as specified in clause (a) and such agreement shall be attached with the copies of the documents specified in clause (b) of the said provision. In the present case admittedly there is no agreement entered between the parties as prescribed under Section 4(1) and Section 4(1A) of the Act. In case of one plaintiff there is merely on MOU which is also not registered as per the provisions of the Registration Act. 63. 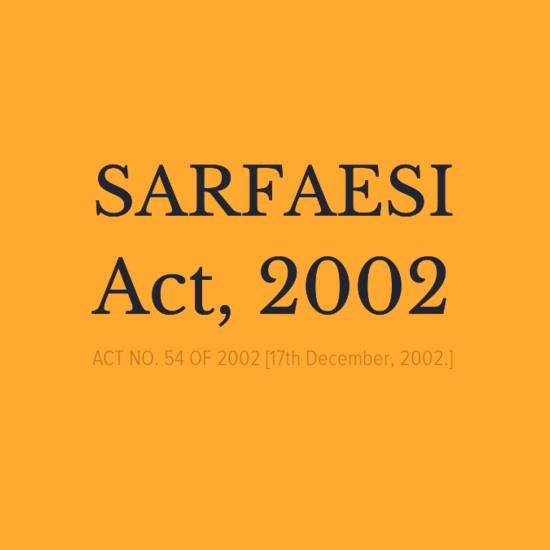 Section 4A provides for effect of non registration of an agreement, this provision is also not available to the plaintiff, as Section 4A speaks of 'an agreement for sale entered under subsection (1) of Section 4' before or after the commencement of the Maharashtra Ownership Flats (Regulation of promotion of construction, sale, management and transfer) (Amendment and Validating Provisions) Act,1983 and which remains unregistered for any reason. It is only in such a situation notwithstanding anything contained in any law for the time being in force, or in any judgment, decree or order of any Court, it may be received as evidence of a contract in a suit for specific performance under Chapter II of the Specific Relief Act,1963 or as evidence of part performance of a contract for the purposes of Section 53A of the Transfer of Property Act,1882, or as evidence of any collateral transaction not required to be effected by registered instrument. We are afraid as to how the provisions of Section 4 and 4A , exfacie, are of any avail to the plaintiffs. “19. It is a fact that the plaintiffs had not entered into any formal agreement with regard to the purchase of the flats with the Developer. The mere letter of intent, which was subject to several conditions, would not give any right to the plaintiffs for purchase of the flats in question till all the conditions incorporated in the letter of intent were fulfilled by the plaintiffs i.e. the proposed purchasers. It is also a fact that all the conditions, which were to be fulfilled, had not been fulfilled by the plaintiffs. 20. According to the provisions of Section 4 (1) of the Act, the agreement, if any, executed between the plaintiffs on one hand and the developer on the another, ought to have been registered with the subRegistrar. In absence of such a registered document, the plaintiffs would not get any right in respect of the flats, which they intended to purchase. Moreover, in absence of the registration, the Subsequent Buyers could not have got an opportunity to inspect the agreement and there could not be any presumption that the Subsequent Buyers knew about the agreement. 65. Thus, on the above conspectus it would not be correct to accept the case of the plaintiffs of any protection was available to them, under the provisions of MOFA and on that ground assert for impleadment of Axis bank as a defendant to the suit. 66. Further, even if the plaintiffs intend to rely on the provisions of Section 5 and 8 of the MOFA, these provisions are of no avail against the bank. The plaintiffs contention that in view of the specific provisions under Section 4 and 9 of the MOFA , the plaintiffs would have a prior charge on the project as mortgaged to the bank and thus the bank becomes a necessary party to the suit, is required to be stated only to be rejected. As noted above it is quite clear that the plaintiffs transaction to purchase the flat, if any, had become quite old inasmuch as the amounts were paid by the plaintiffs to Orbit in or about 2009 or sometime thereafter. However, the fact remains that only after the plaintiffs became aware of the bank enforcing its security interest by taking measures under Section 13 of the Securitisation Act in the year 2017, the plaintiffs woke up and instituted these suits. It is surprising that despite such large amount being advanced, no steps whatsoever were taken by the plaintiffs, to resort to any legal remedy against Orbit, prior to institution of this suit, which a bonafide flat purchaser in the normal course would do. We see no correspondence entered between the plaintiffs and Orbit or any other material which would show that the plaintiffs had any grievance in Orbit not undertaking completion of the project or not registering an agreement with the plaintiffs for sale of the flats. 67. From the MOU entered by one of the plaintiffs (Madhav Prasad Aggarwalplaintiff in Suit No.62 of 2017) it is clear that this plaintiff was made aware about the mortgage of the said project in favour of the bank and this was accepted in totality by the said plaintiff. Thus there was a clear intention of the said plaintiff not to get the agreement registered and/or to take any steps to safeguard any of the legal rights which if at all had accrued to the plaintiff. It is also astonishing as to why before the bank adopted measures under the Securitisation Act, any of the plaintiff's for the longlong time available at their disposal, did not feel the need to seek specific performance of the so called agreements, entered by the plaintiffs with Orbit. This is surely very abnormal. This conduct of the plaintiffs casts a serious doubt of the real intention of the plaintiffs when we consider the plea of the bank for rejection of the plaint under Order VII Rule 11(d) of the CPC. 68. It is thus clear that the real cause of action to implead Axis bank as a party was to prevent the bank from enforcing its security interest as created by Orbit on the said project. This position is fortified by the fact, that in each and every plaint, there are clear averments in regard to the plaintiffs' grievance being echoed in regard to the measures taken by Axis bank under the Securitisation Act. 69. In support of the plaintiffs' contention that the bank would be required to be joined in the conveyance in case the plaintiff succeed in their prayer for a specific performance of the agreement against Orbit and thus, bank is a necessary party to the suit, reliance is placed on the decision of the Supreme Court in Dwarkaprasad Singh & Ors. (supra). In our opinion, in the facts of the present case, the said decision is certainly not applicable. This is not the case where the bank is a purchaser of the property. We have already held that considering the prayers as made in these suits, the relief revolving around or in any manner touching the issue qua the legality of the bank exercising rights under the Securitisation Act as a mortgagee of the project, the civil court would have no jurisdiction. Thus when the adjudication of the rights of the bank to create the mortgage is not within the scope and cannot be subject matter of the suit, the bank cannot become a necessary party to the suit merely on the relief of specific performance being sought by the plaintiff against Orbit. We are of the clear opinion that if the plaintiffs wish to assert their rights against the bank which has a security interest in the project as recognized by the Securitisation Act, then the only remedy for the plaintiffs was to take recourse under Section 17 of the Securitisation Act. 70. We thus see much substance in the contention as urged on behalf of the bank, that the averments as made in the plaint are sufficient to reach to a conclusion that the plaint as against the bank is barred by the provisions of Section 34 of the Securitisation Act. 71. We now consider whether the plaint(s) in any of these suits fall within the exceptions as carved out in paragraph 51 of the decision of the Supreme Court in Mardia Chemicals Ltd (supra), namely whether the case of the plaintiffs as made out in the plaint is such that the action of the bank ( secured creditor) can be said to be fraudulent or the bank's claim is so absurd and untenable that it may not require any probe whatsoever, so as to hold that the plaints in these suits are maintainable against the bank, by overcoming the bar of Section 34 of the Securitisation Act. 72. In the foregoing paragraphs we have categorically noted the averments in each of the plaints as made against the bank, which the plaintiffs interalia say, are allegations of fraud as played by the bank in granting loan to Orbit and accepting the mortgage of the project assets. It is well settled that the parties pleading fraud must set forth full particulars, general allegations are insufficient even to amount to an averment of fraud, however strong the language in which such averments are couched (see Bishnudeo Narain Versus Seogeni Rai & Ors. AIR 1951 SC 280). The provisions of Order VI Rule 4 postulate that when plaintiff alleges fraud the same is required to be pleaded with specificity, particularity and precision. ( See Afsar Saikh Versus Soleman BiBi (1976 (2) SCC 142). 73. The bank would be justified in relying on the decision of the Single Judge of Madras High Court in Punjab National Bank, represented by its Manager Vs. J. Samsath Beevi & Ors. (supra) wherein the Court emphasized that it is the duty of the Court to see that the allegations of fraud are not thrown, just for the purpose of maintaining a Suit and ousting the jurisdiction of the Tribunal and to keep the Banks and Financial Institutions at bay. Referring to the decision of the Supreme Court in T.Arivandandam v. T.V. Satyapal the celebrated judgment of Krishna Iyer, J. (supra) in I.T.C. Ltd. v. Debts Recovery Appellate Tribunal52, the Supreme Court held that clever drafting, creating illusions of cause of action are not permitted in law. The ritual of repeating a word or creation of an illusion in the plaint can certainly be unraveled and exposed by the Court while dealing with an Application under Order 7, Rule 11. It is the obligation on the Court to examine if the allegations of fraud and collusion made in the Plaint, are themselves a product of “fraud and collusion”, so as to prevent any action being taken by the bank on secured assets and whether the facts are such overwhelming so that the mandate, object and intention of Section 34 read with Section 17 of the Securitisation Act are required to be kept aside. The principles that particulars of fraud are required to be pleaded as per the requirements of Order VI Rule 4 of the CPC, the principles are succinctly elaborated in the decision of the Supreme Court 52.1998 (2) SCC 70 in Ranganayakamma & Anr. (supra). The Court held that when a fraud is alleged, the particulars thereof are required to be pleaded. The plea of fraud cannot be general in nature. It also cannot be vague. 74. Adverting to the above principles we do not find any substance in the contention of the plaintiffs that there is any case of fraud practised by the bank so that the plaints in these suits against the bank be sustained, on the exception as carved out in Mardia (supra). Ex facie allegations of collusion/fraud which have been made in each of these plaints and as noted above, to say the least are so vague, weak and ambiguous, to hold that these averments can at all be considered to be averments of fraud as played by the bank against the plaintiffs. We thus see much substance in the contention as urged on behalf of the bank that by clever drafting and by making unsubstantiated allegations of fraud, the bank has been impleaded as a party defendant to the suit. The bank would thus be correct in its contention that in the absence of an unsubstantiated plea of fraud against the bank, the plaint against the bank is liable to be rejected following the principles as laid down in paragraph 51 in Maradia Chemicals Ltd (supra). The nature of the prayer clauses as noted above in all these plaints also makes it clear that the principal relief is of specific performance of the agreement against Orbit. There is no case in the alternative of any damages or any mandatory claim being made against the bank. Thus, the statements which are made in the plaint against the bank cannot be said to be in aid of any relief prayed against the bank. 75. The case as urged on behalf of the plaintiff that the bank ought to have undertaken due diligence, is also of no avail as there are no registered agreements between the plaintiffs and Orbit. In this situation, even if due diligence was to be undertaken nothing could have been revealed to the bank qua the alleged rights of the plaintiffs. The plaintiffs argument of 'due diligence' is very casual, as they are unable to explain as to what would be the outcome of due diligence, when there are no registered agreements. Such plea of the plaintiffs is thus absolutely hollow as it leads plaintiffs nowhere. 76. In the above context, the reliance on behalf of the plaintiff on the decision of the Single Judge of this Court in Ramniklal Tulsidas Kotak vs. Varsha Builders (supra) which considered an issue pertaining to the validity of a “certificate of title” issued by the advocates appended to the printed agreement of sale, is of no avail. Paragraph 28 of the decision records the requirements which should be borne in mind in attributing credence to such certificate. The Court emphasized the need of issuance of a public notice by the advocates before issuing a certificate of title. In the present case, there is no certificate of title as issued by the advocates. Further as observed by us, even if the respondent was to undertake any due diligence, nothing would have surfaced as there were no registered agreements by Orbit entered with the plaintiffs and other flat purchasers, which can be said to be neglected/overlooked by the bank, in accepting mortgage of the project in advancing loans to Orbit. 77. The learned Senior Counsel for the bank in these appeals, would be correct in their contention referring to Section 5(b) and 5(c) and Section 6 of the Banking Regulation Act 1949, that the business of the bank is primarily accepting for the purpose of lending or investment, deposits of money from the public, interalia repayable on demand or otherwise and withdrawal of cheque, draft, order etc. The banking company as defined is a company which would transact business of banking, and thus, the plaintiffs cannot expect the bank to undertake the work of a 'promoter', in view of the specific definition of a“promoter”, as contained under Section 2(c) of the MOFA namely who constructs a building or flats and for the purpose of selling them to persons or cooperative society or association of persons, and thus the reliefs which the plaintiffs can seek against the promoters/Orbit cannot be availed against the bank in the civil suit in question. 78. As regards the plaintiffs contention that in view of Section 9 of the MOFA the plaintiffs would have prior rights to that of the bank qua the project as mortgaged to the Axis bank, also cannot be accepted as noted above. In fact by this plea the plaintiffs indirectly question the security interest of the bank and the entitlement of the bank to resort to the measures under Section 13 of Securitisation Act. The plaintiffs therefore necessarily should have availed of a remedy under Section 17 of the Securitisation Act which permits “any person” who is aggrieved by any of the measures referred to in subsection 4 of Section 13 taken by the secured creditor or his authorised officer, by making an application to the Debts Recovery Tribunal against such measures. As held by the Supreme Court in Mardia Chemicals Ltd.(supra), the proceedings in an appeal under Section 17 is that of a suit in the court of first instance under the Code of Civil Procedure, as observed in paragraph 59 and 62 of the said decision. 79. In supporting the contention that the bank would be required to be joined in the conveyance in case the plaintiffs succeeds in obtaining a decree of specific performance against Orbit, and thus, bank is a necessary party to the suit, the plaintiffs rely on the decision of Supreme Court in Dwarkaprasad Singh & Ors. (supra). In our opinion, the reliance on this decision in the facts of the present case is not well founded. This is not the case where the bank is a purchaser of the property. We have already held that considering the prayers as made in the suits in question, a relief that the mortgage created in favour of the bank be declared as illegal, cannot be granted by the civil court. Once the adjudication of the rights of the bank qua the mortgage are outside the jurisdiction of the civil court, the bank does not become a necessary party, merely on the relief of specific performance being sought by the plaintiff against Orbit. In fact the plaintiffs are assuming a situation that the bank has no mortgage rights on the the project and thus they can seek a relief against the bank. Such a presumption is wholly baseless in the absence of the plaintiffs making any plea to challenge the rights of the bank to enforce its security interest by adopting proceedings before the DRT. “9. We have given our earnest consideration to this matter and we do not see why where a plaint discloses no cause of action against some of the defendants it cannot be rejected against those defendants. We can understand that a plaint has to be rejected in toto in the sense that a Court cannot reject one part of the plaint against all the defendants and carry on with the rest of the plaint against them, but we cannot understand why the Court cannot reject the entire plaint against a particular defendant and carry on with the entire plaint against others. In such a case, there is a total rejection of the plaint so far as a particular defendant is concerned. There being such a total rejection of the plaint so far as the particular defendant is concerned, we are of the opinion that such an order would be open to appeal as a decree. 14. We are, therefore, of opinion that in the first place, we do not see anything in O.7 R.11(a) or (d) which forbids a Court from rejecting the plaint as a whole against some of them. We are of the opinion that it is possible for the Court to reject the entire plaint so far as some of the defendants are concerned and that would be a proper order under O.7 R.11(a) or (d) and an appeal would lie in view of the definition of “decree” in S.2(2). In any case, we are further of opinion that even if this is not possible, an order by which the suit practically fails against some of the defendants amounts to a decree in favour of those defendants against the plaintiffs within the meaning of that word in S.2(2), Civil P.C. and an appeal lies. In any view of the matter, therefore, the order passed in this case was appealable. The plaintiff has not filed an appeal Against it. We are not prepared to grant him the benefit of S.5 of the Limitation Act and dismiss the revision. In view of the circumstances of this case, we order the parties to bear their own costs of this Court. (b) Whether the Division Bench of the High Court was right in reversing the said decision ? 29. Finally, the learned Senior Counsel for the respondent submitted that in view of a decision of this Court in Roop Lal Sathi V. Nachhatiar Singh Gill [(1982)3 SCC 487], rejection of the plaint in respect of one of the defendants is not sustainable. We have gone through the facts in that decision and the materials placed for rejection of plaint in the case on hand. We are satisfied that the principles of the said decision do not apply to the facts of the present case where the appellantfirst defendant is not seeking rejection of the plaint in part. On the other hand, the first defendant has prayed for rejection of the plaint as a whole for the reason that it does not disclose a cause of action and not fulfilling the statutory provisions. In addition to the same, it is brought to our notice that this contention was not raised before the High Court and particularly in view of the factual details, the said decision is not applicable to the case in hand. 30. In the light of the above discussion, in view of the shortfall in the plaint averments and statutory provisions, namely, Order 7 Rule 11, Rule 14(1) and Rule 14(2), Forms 47 and 48 in Appendix A of the Code which are statutory in nature, we hold that the learned Single Judge of the High Court has correctly concluded that in the absence of any cause of action shown as against the first defendant, the suit cannot be proceeded either for specific performance or for the recovery of money advanced which according to the plaintiff was given to the second defendant in the suit and rightly rejected the plaint as against the first defendant. Unfortunately, the Division Bench failed to consider all those relevant aspects and erroneously reversed the decision of the learned Single Judge. We are unable to agree with the reasoning of the Division Bench of the High Court. 82. Similar view was taken by the Division Bench of this Court in K.S.Dhondy Vs. Her Majesty The Queen of Netherlands & Anr (Supra). Dr.Justice D.Y.Chandrachud (as His Lordship then was) speaking for the bench held that the dismissal of the suit against the first defendant was in order. 83. In Sejal Glass Ltd. (supra) the Court was concerned with defendant's application under Order VII Rule 11(a) that there was no cause of action against defendant no.2 to 4 in the suit in question in the said decision. The Supreme Court held that it cannot be a rule of law that once a part of a plaint cannot proceed, the other part also cannot proceed, and the plaint as a whole must be rejected under Order VII Rule 11. The Court recognized that in cases where the plaint survives against certain defendants, against them Order VII Rule 11 will have no application. 84. To support the contention that the jurisdiction of the Civil Court is not completely ousted, on behalf of the plaintiffs, reliance is placed on the decision of the Supreme Court in Nahar Industrial Enterprises Ltd. Vs. Hong Kong & Shanghai Banking Corporation (supra). In this case the Supreme Court was considering an issue arising out of an order passed by the High Court allowing the application of the bank, transferring the civil suit filed by the appellant therein from the Court of Civil Judge, Ludhiana to Debt Recovery Tribunal at Mumbai. The question which fell for consideration of the Supreme Court was 'whether the High Court or Supreme Court has the power to transfer a civil suit to Debt Recovery Tribunal; whether transfer of a civil suit from the civil Court to Debt Recovery Tribunal could be tried as counterclaim. It is in this context the Court examined the provisions of Section 9 of CPC and the Recovery of Debts due to Banks and Financial Institutions Act,1993. The Court held that the civil court indisputedly would have jurisdiction to try a suit and if the suit is vexatious or otherwise not maintainable action can be taken in terms of the Code. The Court also considered the decision in Mardia Chemicals Ltd. & Ors. (supra) and the observations as made in the said decision that the jurisdiction of the civil court can be invoked in case of fraud and misrepresentation. The Court held that the High Court could not have transferred the suit from the civil court Ludhiana to the DRT, Mumbai. We are afraid as to how this decision would assist the plaintiffs, when the question in the present proceedings is completely distinct, namely whether the jurisdiction of the civil court is barred in view of Section 34 of the Securitisation Act, as a closer scrutiny of the plaints as framed against the bank indicates that the issue as set up in the plaint against the bank are the measures adopted by the bank under Section 13(4) of Securitisation Act. 85. The reliance on behalf of the plaintiffs on the decision in Indian Bank Vs. ABS Maritime Products Pvt. Ltd. (supra) is also not well founded. In the said case the issue before the Supreme Court was 'whether a civil suit filed against the bank in Calcutta High Court for recovery of certain amount as damages for nondisbursal of loan with interest, could be transferred to the Debt Recovery Tribunal in view of Section 19 of the the Debts Due to Banks and Financial Institutions Act. The plea of the bank was rejected by the High Court. The contention of the bank was that the recovery proceedings initiated by the bank against the respondent and the respondent's suit for damages, were inextricably connected and although the suit of the respondent was prior to the application of the bank filed before the Tribunal, it was required to be considered as a counterclaim and should be transferred to the tribunal. The Supreme Court, however, did not accept the plea of the bank and dismissed the appeals. It is in this context the Supreme Court examined the powers of the civil court under Section 9 of CPC and Sections 17 and 18 of the the Debts Due to Banks and Financial Institutions Act, in holding that the civil court's jurisdiction is barred only in regard to the application by bank or financial institutions for recovery of its debt and that the jurisdiction of civil court is not barred in regard to any suit filed by the borrower or any other person against a bank for any other relief and it was held that the Calcutta High Court had jurisdiction to entertain and try a civil suit filed by the borrower. It was held that there is no provision in the Act for transfer of suits and proceedings, except section 31 which relates to suit/proceeding by a Bank or financial institution for recovery of a debt. Thus this decision would not assist the plaintiffs, as in the present case there are no proceedings which are filed by the bank before the Debt Recovery Tribunal and the issue is of jurisdiction of the civil court to entertain a suit after the bank has resorted to the measures under Section 13(4) of the Securitisation Act. 86. The plaintiffs' reliance on the decision of the Division Bench of this Court in “Gopal Srinivasan vs National Spot Exchange” (supra) is also not well founded, as in the facts of the said case, the Division Bench has come to a conclusion that it was a case of mass illegalities, siphoning of moneys, fraud etc and such being the allegations in the plaint, it was held that the plaint could not be rejected against the appellant/ defendant. However, such is not the case in these appeals before us. 20. Where as in the present case, the grievance by a third VBC 23 app244.108.12 person is that : (i) There was no mortgage; (ii) There was no mortgage by the HUF; (iii) The mortgage, if any, is illegal in relation to the share alleged to be that of the HUF; and (iv) No action had been instituted against the HUF before the Tribunal; hese are all grounds of challenge which, in substance, can be asserted before the Debts Recovery Tribunal. These are matters which the Debts Recovery Tribunal is empowered by or under the Act to determine. None of the grounds which are sought to be urged in the plaint fall outside the province and jurisdiction of the Debts Recovery Tribunal. Once we come to that conclusion, the necessary corollary is that recourse to proceedings in the form of a civil suit is barred by Section 34. 88. In “Jagdish Singh vs Heeralal & Ors.” (supra), the Supreme Court was examining the issue arising out of an order passed by the High Court in a first appeal whereby the Division Bench set aside the order passed by the trial court holding that a civil suit which was filed by respondent nos.1 to 5 (therein) before the Court of District Judge, Barwani, was not maintainable against the bank in view of the provisions of Section 13 read with Section 34 of Securitisation Act. The Supreme Court examining the ambit of the provisions of Sections 17 and 34 of the Securitisation Act set aside the orders passed by the High Court holding that the measures taken under Section 13 of Securitisation Act dealt with the enforcement of the security interest without intervention of the Court and any person aggrieved by any such measures referred in subsection (4) of Section 13 has statutory right to appeal to the Debt Recovery Tribunal under Section 17. It was held that Section 34 clearly bars jurisdiction of civil court to entertain any suit or proceedings in respect of “any matter” which the DRT or the appellate tribunal was empowered by or under Securitisation act to determine, and the expression “in respect of any matter” referred to in Section 34 would take within its ambit the “measures” provided under subsection (4) of Section 13 of the Securitisation Act. It was held that any grievance against any measures taken by the borrower under subsection (4) of Section 13 of the Securitisation Act a remedy is open to the aggrieved party to approach the DRT or the appellate tribunal and not the civil court, as the civil court had no jurisdiction to entertain any suit or proceedings in respect of the matter which fall under Section 13(4) of the Securitisation Act and more particularly when Section 35 provides for overriding effect over the other laws, if they are inconsistent with the provisions of the Securitisation Act, which takes within its purview Section 9 of the Code of Civil Procedure as well. It was held that the bank had proceeded only against the secured assets of the borrowers on which no rights of respondents therein have been crystallized, before creating security interest in respect of the secured assets. “8. After having considered the rival submissions of the parities, we have no hesitation in acceding to the argument urged on behalf of the Bank that the mandate of Section 13 and, in particular, Section 34 of the Securitisation and Reconstruction of Financial Assets and Enforcement of Security Interest Act,2002 (for short 'the 2002 Act'), clearly bars filing of a civil suit. For, no civil court can exercise jurisdiction to entertain any suit or proceeding in respect of any matter which a DRT or DRAT is empowered by or under this Act to determine and no injunction can be granted by any court or authority in respect of any action taken or to be taken in pursuance of any power conferred by or under the Act. 90. In the light of the above discussion, we are of the clear opinion that the learned Single Judge was in an error in holding that the plaints against the bank were not barred under Section 34 of the Securitisation Act and consequently in rejecting the notices of motion and holding that the suits were not barred against the bank. 91. We accordingly set aside the impugned order and allow the notices of motion as filed by the plaintiffs. Ordered accordingly. No costs. 92. Our observations are limited in the context of the issues arising before us under the provisions of Order VII Rule 11 of C.P.C. 93. The learned Counsel Mr.Vaishnawa for the respondents seeks stay of the order. The request is opposed by the other side. It is submitted that the next date of suit is after four weeks. The request for stay is rejected.